… that consists of 42 Lodges ranging from Military, Specialist (Chequered Flag & Aviation), Farmers and Roundtable etc. We hope that whether you are a Freemason or not you will find something of interest in it for you. 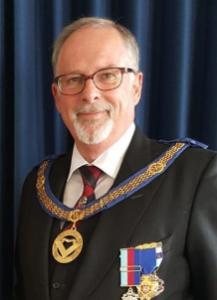 It is my pleasure to welcome you to the North East Area of the Masonic Province of Hampshire and Isle of Wight and to introduce myself as the Chairman of the Area. 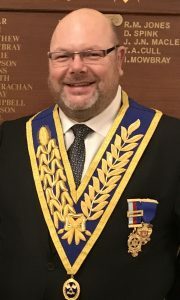 As a member of Panmure Lodge, meeting at Aldershot, I am very familiar with the Area and look forward to renewing acquaintances of old and friends of new. Whilst mirroring the comments of our APGM the website will prove to be of invaluable assistance to members and non-members alike. Please do explore the content and material relating to the Area centres and Lodges and I hope you will find something of interest, be it an introduction to freemasonry, a new centre or Lodge to visit or a social event to share with your family and friends.